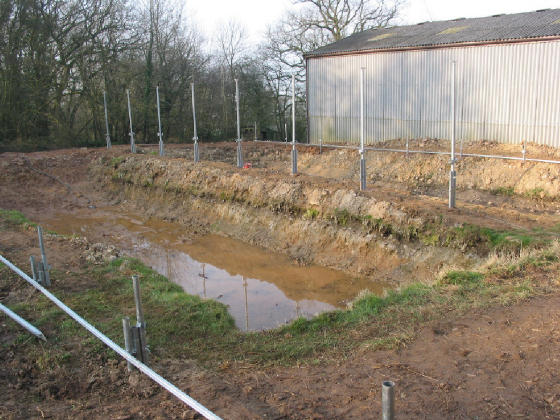 I decided that the mudponds needed covering over to keep the heat in and make the koi grow a lot quicker. 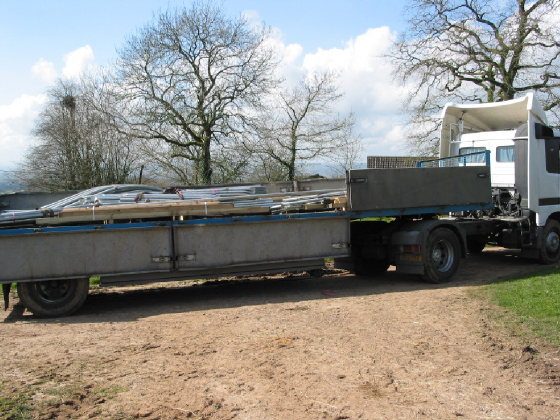 The lorry arrives with all the bits for the polytunnels. 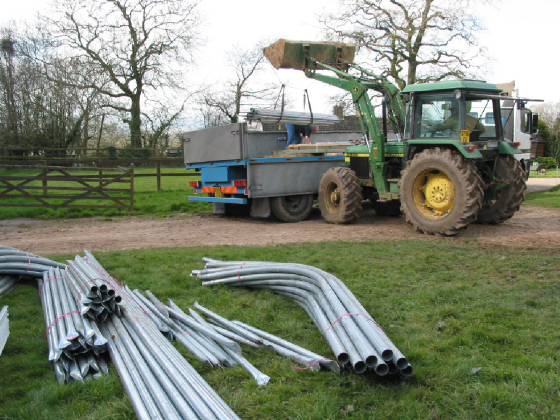 As you can see there was loads of bits to offload, I would not of liked to have off load all these bit by hand. 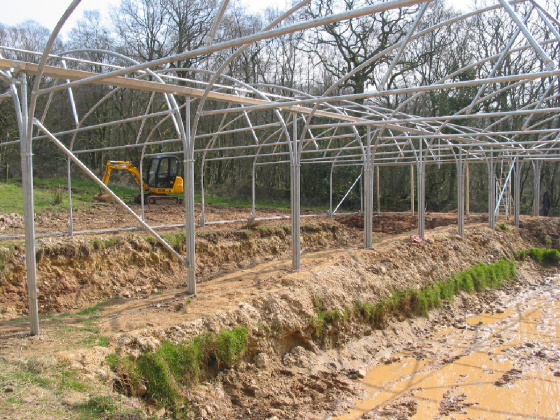 As you can see we had to drain the mudponds so we could start to erect the polytunnels. The tunnels are starting to take shape and at least the bad weather is holding off so there is not to much water in the mudponds. Looking good there is not to much more to do now, then the fun of putting the covers on begins. 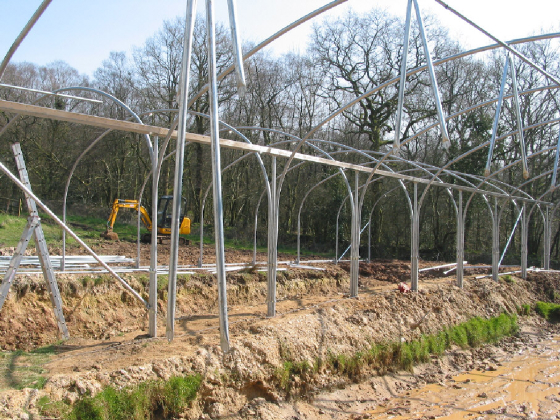 All the steel work is now complete, so there is only the polythene covers to go on now. As it was a nice calm day the roof was put on, there are only the ends left to do now, so will not be long before its all finished. 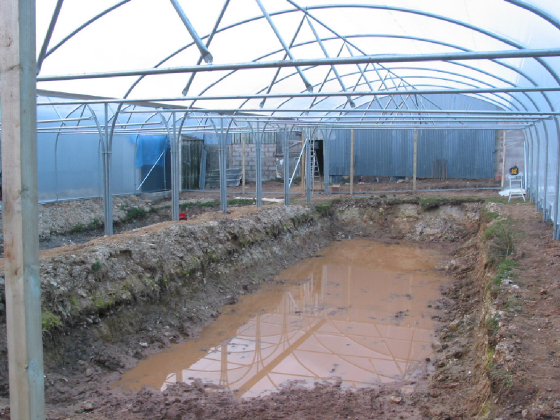 The polytunnel is now all finished, so I can now start filling up the mudponds. As you can see mudpond 2 is half full and I have just started to fill up mudpond 1. 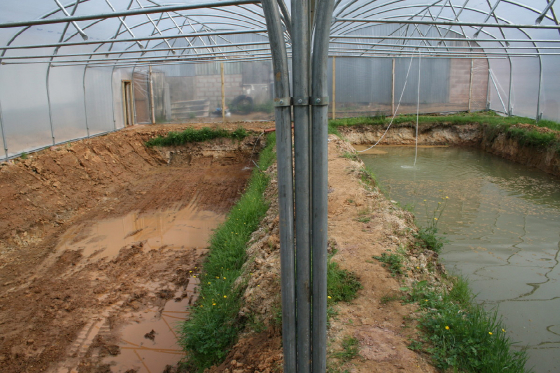 Just a quick update to say that I am very pleased with how the polytunnels are working, I was undecided whether to put polytunnels over the mudponds with the weather supposed to be getting hotter, but with the summer we had this year or lack of it they have really made a difference and the koi are growing very well. It's also nice to be inside in the dry and warm, watching them grow. A new load of bits and pieces to play with. It's a bit muddy but at least the work has started. As you can see the weather has improved and the tunnels are starting to take shape. All the hoops are now up , so it will not be long now before its finished. 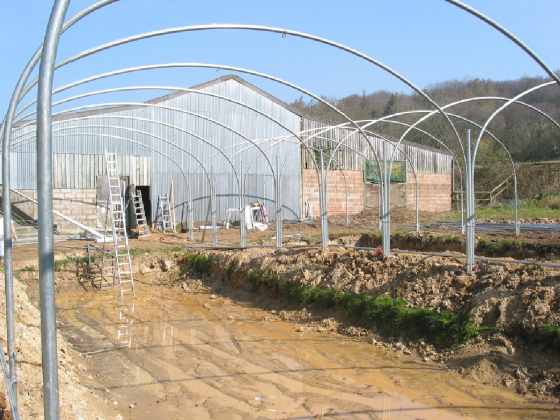 As you can see the polytunnels have now been covered and all we need now is some nice warm weather and we can begin spawning.